Serving the greater Mobile metropolitan area, including Dauphin Island, Fairhope, Foley, Daphne, Gulf Shores, Orange Beach, Ono Island, Caswell, Gasque, Gulf Highlands and the entire surrounding community. Celebrity Greens of Mobile, Alabama is Celebrity Greens’ Authorized Partner. We design and install putting greens and artificial grass lawns and turf in Mobile, and around all of the surrounding areas. We understand synthetic turf and know how to expertly install a world class golf green. 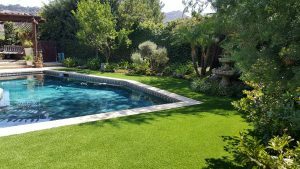 We can also design and install large grass fields, complicated landscaping areas, sports turf, dog runs, and any other synthetic grass surface. Perfect for difficult to reach or maintain areas such as steep slopes, tight spaces, etc. Synthetic Turf dramatically reduces the need for maintenance in your backyard and eliminates the need for water. It also eliminates the need for harmful chemicals that leach into the soil (fertilizers, pesticides, weed kill, etc.). 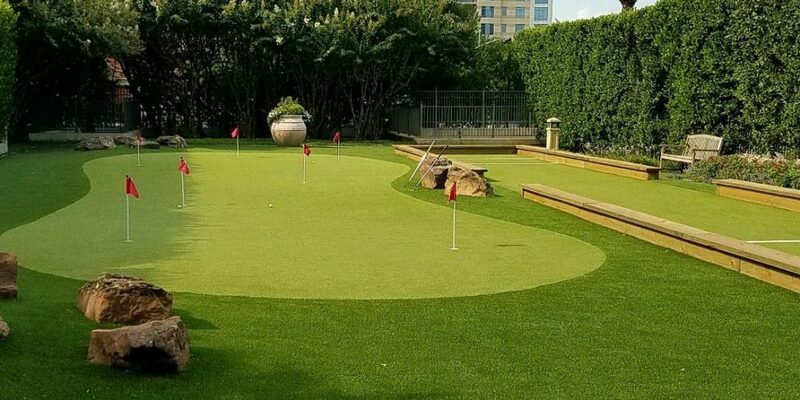 We are adept at installing sports surfaces, as well as certified playground surfaces, and we specialize in designing and installing the most advanced sand filled, artificial grass putting greens available today. Our Artificial Golf Greens can be installed indoors and outdoors. 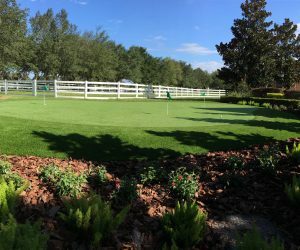 We offer an array of amenities including sand traps, water hazards, custom lighting and more to enhance your backyard putting green. Celebrity Greens Mobile also offers complete landscaping services, and we are proud to offer products that require very low-maintenance while remaining lush and green through every season. Contact us today at 1-888-507-7960 for a free consultation! Evan grew up in Brandon, MS and picked up the game of golf at 10 after buying a 5-iron at a neighbor’s garage sale. He’s been hooked ever since. Besides lots of golf, he graduated from Millsaps College (2008) and Mississippi College School of Law (2012). After working for a larger firm for five years, he co-founded a law firm in Bay St. Louis, MS where he practices in courts throughout Mississippi and Louisiana and is peer-rated rated AV Preeminent by Martindale Hubbell and he was named to the Mid-South Rising Stars list by SuperLawyers in 2018. Evan lives in downtown Covington, Louisiana with his wife, Rikki, and dog, Ryder. He plays golf mostly at Tchefuncta Country Club where he also serves on its’ board of directors. Patrick was born and raised in St Tammany Parish, Louisiana, just north ofNew Orleans. After graduating from Louisiana State University and Loyola New Orleans College of Law he went to work for his families construction and development company where he currently serves as legal adviser and executive Vice President of Business development. Patrick fell in love with the game of golf at a young age while playing with his dad at their local course. Patrick and his wife reside in Covington, Louisiana with their four young children and he looks forward to continuing the family golf tradition by teaching his children this wonderful game.